at the Seaholm Power Plant September 19-23 & 26-30, 2018! In November, the Cultural Arts Division opened a call for local filmmakers to submit shorts that reflect the diverse faces, voices, and experiences of Austin. After a competitive selection process with over 70 submissions, 13 films were chosen. The selected shorts will be screened on March 10 as part of the SXSW Film Festival's Community Programming, and will air throughout the year on the City's television station, ATXN. KLRU's Christopher Kim is among the 13 finalists with his short film about Blue Lapis Light's 2017 fall production Belonging at the Seaholm Power Plant. His beautiful piece captures the heart of Sally's work and the energy and spirit of a Blue Lapis Light site production. 2018 Faces of Austin SXSW Community Screening showcase will premiere on Saturday, March 10th at 11AM at Austin Film Society Cinema, located at 6406 North Interstate 35. The event is free and open to the public. New Class Session begins March 18! 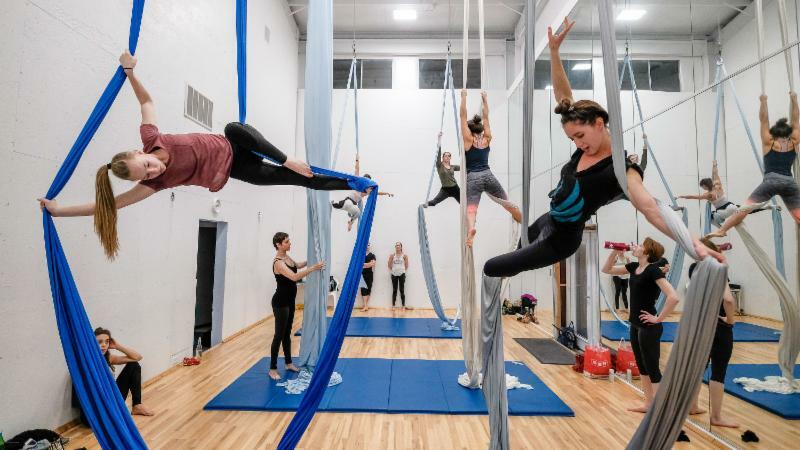 Silks class is a creative, challenging and incredible way to tone your mind, body, and spirit! Classes are available morning, afternoon, and evenings. 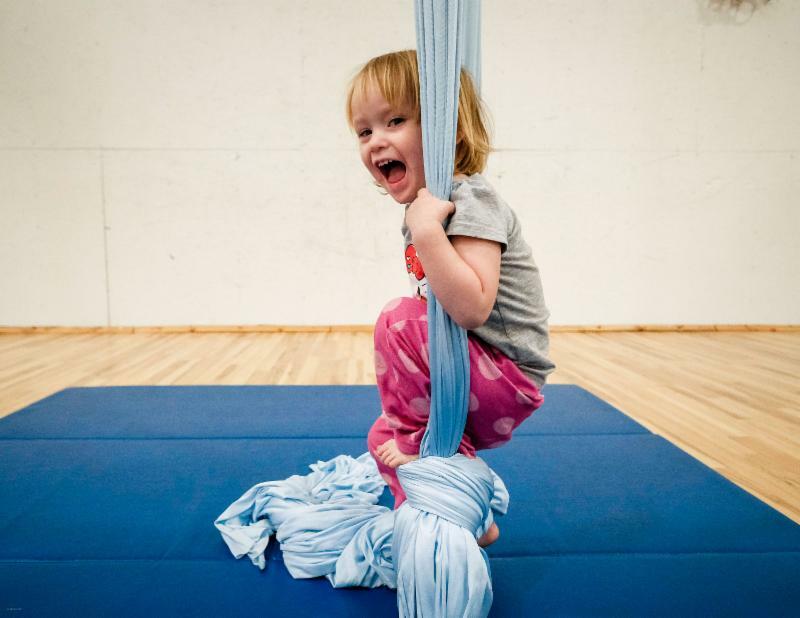 Join us for regular silks practice, twice weekly for 5 weeks or schedule a private class for a special occasion. Blue Lapis is rehearsing for 3 commissioned shows upcoming in April-- 2 silks performances and one site-work at Panola College in Carthage, Texas. 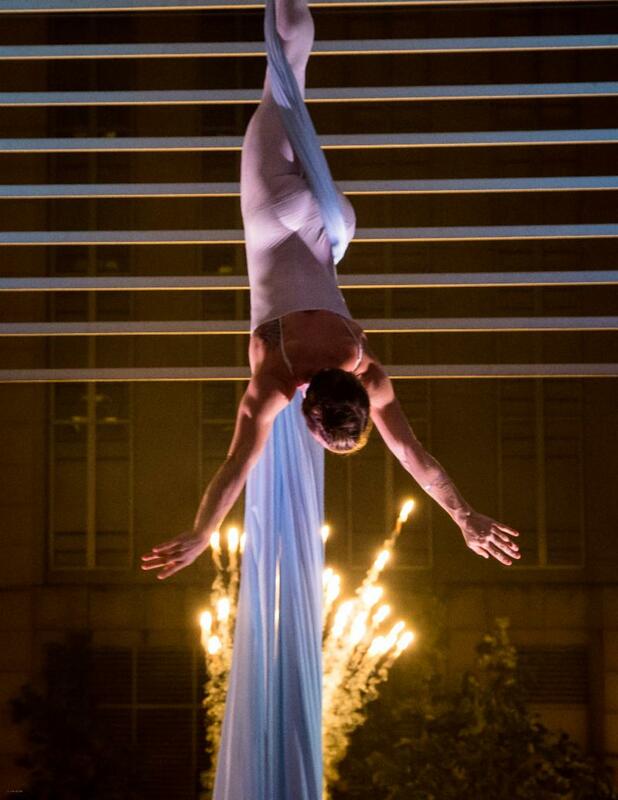 O'Henry Middle School commissioned a silks performance in 2015, to be performed for 6th, 7th, and 8th grade classes. We are glad to visit them again this year with a new silks performance for the students! In the East Texas town of Carthage (featured in Richard Linklater's Bernie), Blue Lapis Light presents Twilight, a custom site-work for Panola College. The performance features dancers performing on the side of the student building Tuesday, April 25. 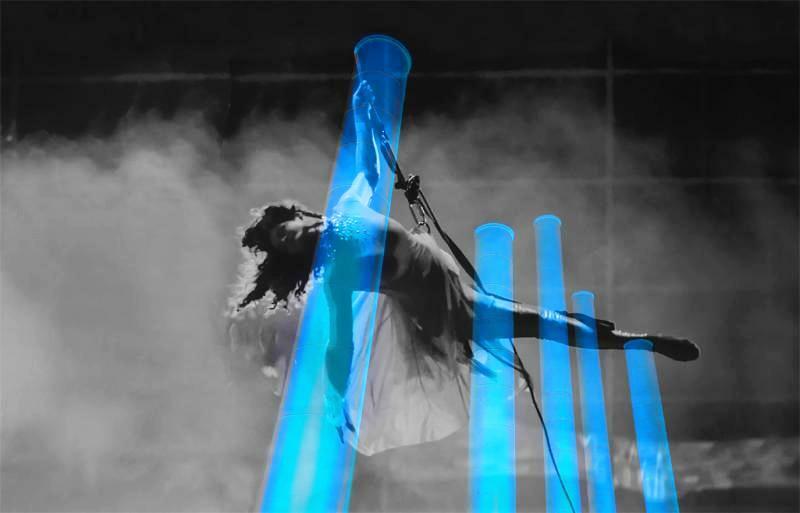 These performances bring inspiring art to incredible places and we are honored to bring our energy, creativity, and talent for each unique occasion. Join us for a student showcase at our studio this Sunday, March 11 at 5:30pm. Bring treats to share and enjoy silks students performing their class pieces. Friends, families, and fans are welcome. If you are considering joining classes at Blue Lapis, this is a great way to see what we are all about. The showing is at Blue Lapis Light and parking is next door at 10335 Old Manchaca Road.